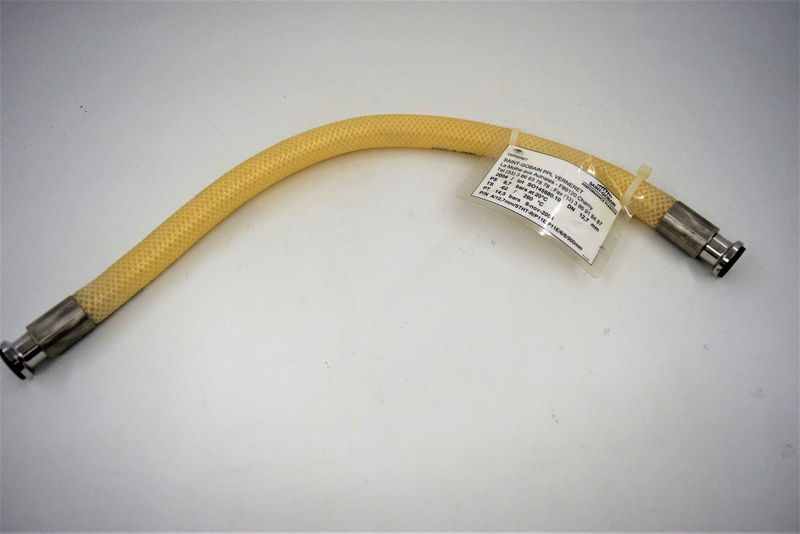 Saint-Gobain STHT-R-0500 Platinum Braid-Reinforced Silicone Hose 20” Length . New Life Scientific, Inc.
* Temperature range from -80ºF (-62ºC) to 500ºF (260ºC). This product is in good physical condition. New Life Scientific technicians removed this from a working environment and we recommend the hose be sterilized prior to use. Sani-Tech® STHT®-R platinum-cured silicone hose resists temperature extremes, ozone, corona, radiation, moisture, compression sets, weathering and chemical attack and imparts no taste or odors to fluids transported within it. Sani-Tech® STHT®-R hose withstands repeated autoclaving and resists the adherence of blood products and other sanitary fluids. While New Life Scientific takes many steps to ensure that our instruments are in perfect working condition; we cannot ensure that all products are up to manufacturer specifications. We recommend every product undergo professional installation and calibration before use in research, production, and clinical applications. For this reason, we offer a 90-day warranty on all of our working products in the interest of maximum customer satisfaction.